The interesting thing about this course is that the participants consist of both, very new teachers (usually working at the Secondary Level) and very experienced teachers, often consultants, coaches or leaders in their school. The experienced teachers are usually headed toward a formal leadership position like Vice-Principal or a “Department Head” and the new teachers are often exploring their options, potentially opening up an opportunity to teach for the Elementary Panel (moving from the secondary panel). The best part of the course is the number (and varied types) of resources collected and shared. I try to remind the students enrolled, over and over (they probably get tired of it) to post their “forum reflections” in a blog somewhere – that their voices, experiences, and resources matter to the greater community of learners – parents, teachers, students and others in the business of education (which is pretty much the entire world). I’m going to take the next few weeks to model the sharing and work done with these students by also posting my reflections and resources. 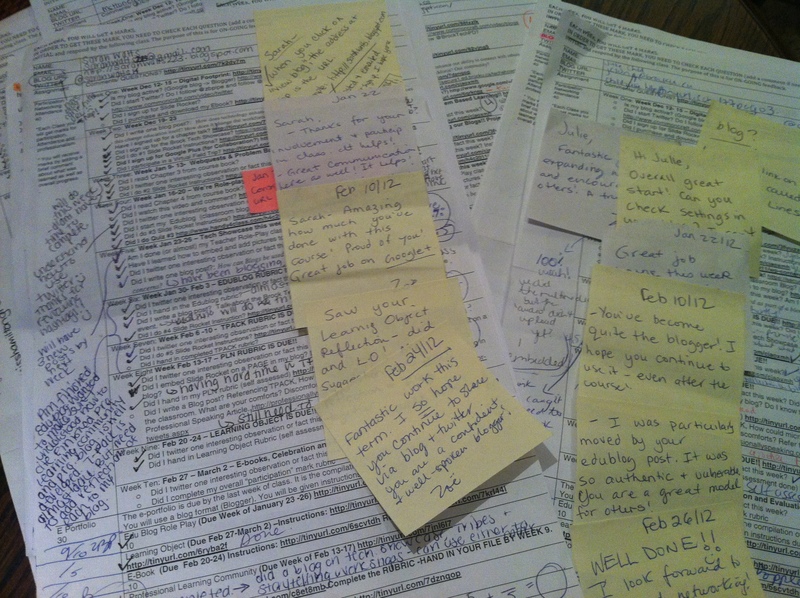 Does Formative Assessment and Descriptive Feedback work with Adult Learners? I spent much more time giving feedback for this group of adult students then I did in any other course – EVER. My own knowledge and comfort level using this strategy (assessment FOR and OF learning) was limited but very much supported through the Growing Success resource by the Ministry of Education, Ontario. In staying true to the nature of my course, I wanted to demonstrate a 21st century model of learning/assessment and to use a resource common to the districts most familiar to my Teacher Candidates. This strategy could be used (adapted) in a K-12 setting (and I will try). A guided, week-by-week discussion sheet (with very general questions) could certainly work and be used when teaching specific skills and content areas. I used Assessment For Learning in order to guide my instruction from week to week. Each week, students were asked to communicate with me where they were in the course, how they felt, what they needed. Using “stickies” and by responding to their blog posts and twitter feeds, I gained information about their progress, their comfort and their next steps and ultimately, I could direct my teaching to help them meet their needs at a more individual basis. I used Assessment AS Learning explicitly through a “week by week” communication sheet where students were charged with monitoring their own learning, communicating their needs, and assessing their own progress. Ultimately, this strategy made them accountable for their own learning and encouraged them to seek out what was needed to give them success. The students were given TWO copies of this “WEEK BY WEEK” communication/information sheet. One to keep for themselves, and one to keep in the classroom file folder bin that would be used as a weekly feedback form between the both of us (for me to keep and look at after each class). Each class, students would remove their sheet from the bin, keep it with them throughout the class, mark it up, ask questions and finally return it. Students were in charge of giving themselves marks (self assessments) each class and for each assignment (this was not easy for many of them). After each class, I would spend approximately ONE hour going through the communication sheets to provide feedback about their blogs, their use of twitter, or even about their participation during class. At times, I would suggest they take certain comment out of their blog, or ask them questions about audience or perspective. I would challenge them to use more “voice” and to be less academic and more authentic. Other times, I would comment on specific posts, or statements they’ve made about our class content and praise them for their risk. In the end (week 10) I would meet with each student where we would – together- determine a final mark that reflects the comments, discussions, and progress throughout the course. I’ve never found assessment or evaluation easy. But when there is on-going feedback, accountable talk, and regular communication about learning, assessment seems to make so much more sense. I hope to hear from a few of my students on how this process worked for them. 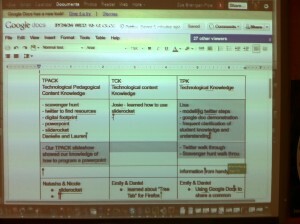 In my current role as a Pre-Service Instructor at Brock University, I have small window of opportunity to introduce (and model) to new teachers to 21st Century Education.The following sites, and resources are what I consider to be the essentials of 21st Century tools (although there are many many more). These are my “I can’t live without” tech tools as learner and teacher. I am listing the best time-saving, collaborative, and integrated tools around! So open up your book marking tool, your Smartpen, or your favourite note taking device and save them for later, because you will need them to survive in the fast pace of 21st Century learning. 1) Google Plus. Pedagogically, I use it very differently from Twitter and Facebook, (which are also essential tools in the learning environment). 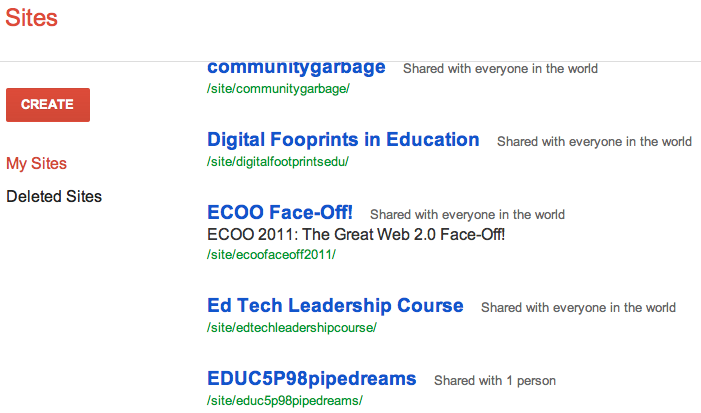 When Google Plus came out in Beta, I had a chance to explore (just a bit). But I didn’t see the full potential until it was fully released and I could create circles for each of my classes and professional circles. With so many Social Media tools – all with a variety of purposes, cross posting can be a bit time consuming and not very efficient. With this AMAZING resource, I can create recipes with my Web resources. IF I favourite a video on Youtube, THEN tweet it out. This program helps me stay in control of my digital footprint, extend my network and share more dynamically. It’s never been so easy to create a website – Anyone can do it. This is where we discuss BLENDED LEARNING. 2011 was the year of GoogleSites for me. I present at many conference across North America as well as teach full-time for the Faculty of Education at Brock University, and rarely do I use PowerPoint when I can use a collaborative resource like Google Sites to present my material and invite participants to use, edit, share and maintain the resource. Sustainable, collaborative and organic. BEAUTIFUL. 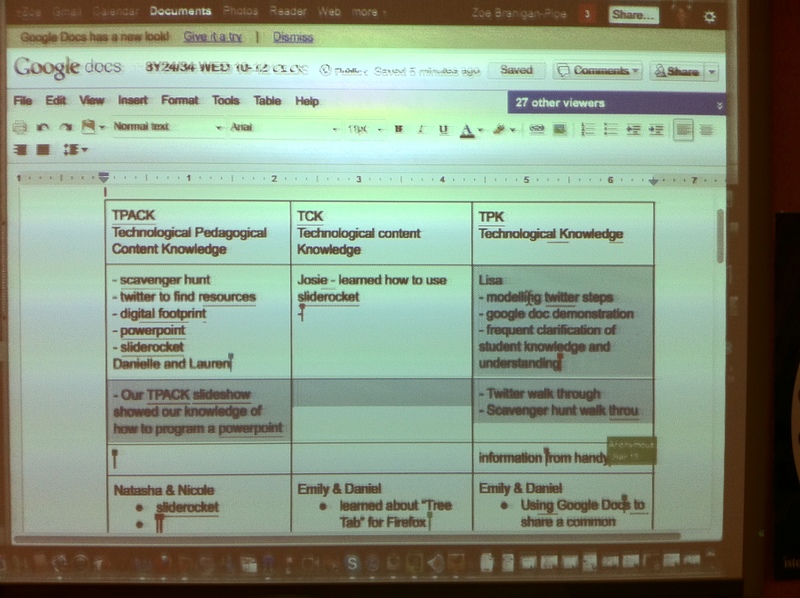 For a major assignment in my Intermediate/Senior Pre-service Technology class, all students were to create a Google Site as a way for them to practice teaching in a blended learning environment. There is no more, “I don’t know how”. The resource is straightforward and many tutorials are found on line. So get started!! The tools allows teachers to add audio to paper notes (seems like magic). Students simply touch the ink and can hear what the teacher said at that moment. So many uses with ELL, and LD students. 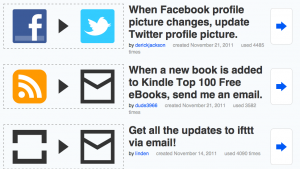 Teachers can post Livescribe course notes on a website for pre/post learning. So many uses with students at all levels and abilities. MY entire GRAD studies are on ONE Livescribe Smartpen, accessible in audio, paper format, and interactive on my computer. I can share my audio/interactive notes using Google, Everynote, or in an audio enabled PDF. YEP – MAGIC. What an incredible resource to help students and teachers create digital binders that can be shared. Parent Resource binder? Student created binder? Math Resource binder? Student project binder? The possibilities are endless. I first introduced this to one of my students as an accommodation to help her organize her course load, links and information. Using Google Docs with my students is ALWAYS a hit. When they see the magic in shared learning and collaboration they are unstoppable – like I was. This year, I used Google COLLECTIONS in a few new ways. Creating a class collection and then adding sub-collections with each student and then sharing their collection with them allowed me to hand in personalized assignments, rubrics which are co-created and co-assessed. Very handy tool. 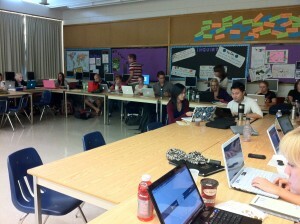 First day of class – whether it be a grade six class, or a pre-service education class – I introduce blogging. People blog for different purposes. What I emphasis to those NEW to it – is to blog for REFLECTION, for writing practice, for ON-GOING LEARNING, and for SHARING. I emphasis to new bloggers – USE YOUR VOICE. BE VULNERABLE. RISK YOUR OPINION. ASK QUESTIONS AND MAKE IT INTERACTIVE. Teachers should be very AWARE of AUDIENCE.Have two blogs – one for personal reflection and professional sharing and one for classroom instruction and blended learning. Different purposes and different audiences. A tool that I cannot live with out. How incredibly awesome is it that I can collect my links and resources using an online tool and share my collection with others. 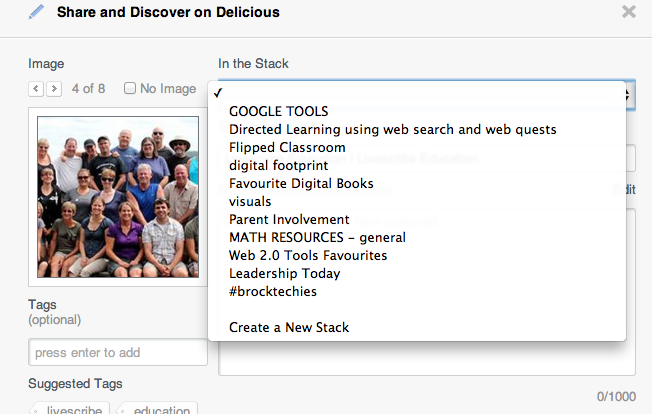 Even better, I can access other teacher’s bookmarks too – ANYTIME, ANYPLACE, ANY DEVICE. 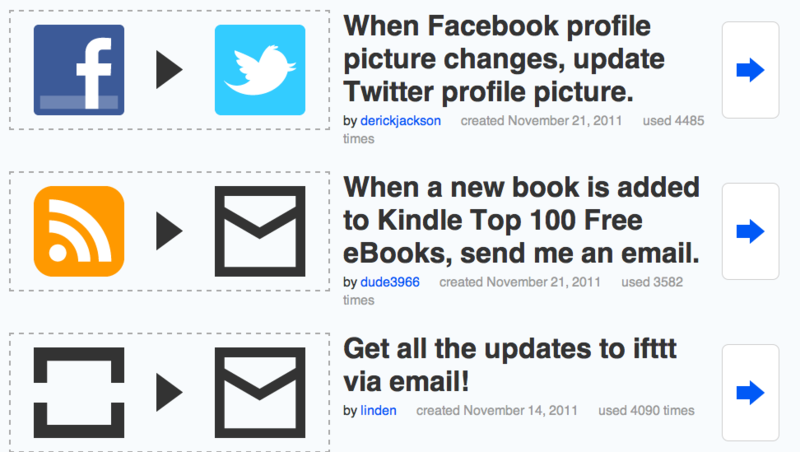 10) Jing – Sharing isn’t just text. Jing is a screen capture tool. I use it everyday for quick screen captures, tutorials, and for video and audio instructions. I used it for this post. It is hard to stop at ten. However, the biggest complaint I get is that there are TOO MANY TOOLS, SITES and RESOURCES. My suggestion to new and experienced teachers is to ALWAYS try it first for themselves. Play with it, get comfortable, learn it. Then integrate it into your classroom lessons. Leaders – do you know your staff’s learning needs? Does it matter to you? Over the last 10 weeks, I have had the most humbling opportunity to influence pre-service Teachers during their final year before they enter the profession. Having had a taste of instructional leadership in my grad studies, and within a school district and now in a Faculty of Education, I have noticed that the approach to adult learning differs greatly once these adult learners enter the field. Let me explain. Just like in the classroom with children, these pre-service teachers differ greatly in their learning needs. In every one of my classes, I have some students requiring specific accommodations and/or modifications (even adults are on an IEP). I have noticed huge disparities in knowledge and understanding of tech use and problem-solving ability, of coping and stress management skills, of organizational skills and of resources. I have students who are privileged with supports from their family and I have students who are living thousands of miles away from anyone familiar. I have students who are coming to school hungry and living in poverty every day. I have students who are caring for terminally ill parents or who are taking care of their own families. I have students with reading disabilities, processing disabilities and anxiety disorders. As their teacher, just like with children, it is my duty to provide a varied approach to my instruction. These are the teachers who will be soon applying for teaching positions. These new teachers will NOT disclose their learning differences (I didn’t). They will NOT disclose their personal stressors such as poverty, or familial issues. When hired, they will be treated the same as everyone else. The accommodations and modifications that they were once provided will no longer apply. They will need to abide by the same time-lines, schedules, and instructional duties as all other teachers. Is there a dichotomy here? On one hand, in the field of education, we are advocating and insisting universally designed instructional practices, success for all, differentiated instruction, and varied approaches to teaching and learning. On the other hand, we rarely provide a differentiated approach in our instructional leadership within the schools – in fact, learning differences in teachers are in most cases seen as a weakness (which is why our Unions suggest we NOT disclose this to our district). Since it is my job to prepare these adult learners for the workplace, I cannot dwell on this real, and frustrating dichotomy. Instead, I need to help them find ways to self-differentiate – and to cope. So, I present them (and you) with three timeless, authentic and organic strategies: Network, collaborate and find a critical friend. It is these very strategies that contributed to my own success. My network provides me with current, on-going, and varied forms of information. By collaborating, my learning communities balance out my weakness and strength and offer me shared rewards and success. My critical friend (s), provides me with real and authentic feedback, especially when I am feeling vulnerable and scared. Leaders today have the use of social networks, collaboration tools, blogs, websites, shared wikis, and more – all which can sustain a professional learning community, collaboration, and mentorship (critical friends). What are you doing as a leader to model a differentiated approach for your staff? What are you doing as a staff to support the varied learning needs of your colleagues? What are we doing as a system to encourage diversity in our teaching population. There is a new group of teachers in town. For the next eight months, at Brock University in Hamilton, Ontario, these teachers will learn and practice what it truly means to teach in the 21st Century. Nope. This doesn’t mean they will graduate as Information Technology Specialists. Nor does it mean that they will be computer programmers, or expert gamers, or trained ‘techies’. “I have never integrated myself into a project of many people (strangers, really, though only for a short while) working collectively towards a goal larger than themselves. The fact of that now amazes me, because that is what 21st technology is all about. And with that realization, I find I’ve been incorrectly viewing new technology as an end in itself, and not the means with which I can make a contribution in “real life.” Touch screens, smartboards and live feeds are tremendous advancements, but they’re usefulness goes so much deeper then simple fodder for gadget hounds like myself. As a teacher, I am going to have to get very used to linking my life collectively with groups, and that is the first and easily the most important lesson this cohort has given me thus far. Virtual Associate Mentors/Teachers have welcomed this cohort with arms wide open into an established professional learning network. Incredible demonstration of generosity of skill and time. 2. ALWAYS demonstrate that good teaching means learning together in a variety of ways, with a variety of tools. Teacher Candidates using the Livescribe pen to make audio and digital ink recordings to capture their thoughts about Professional Teaching Standards. They ask, “What does Society expect from its teachers? They explore a variety of mediums – text, audio and digital as a way to express their thoughts and as a method to share with others. 3. ALWAYS demonstrate that good teaching means facilitating a SAFE, CARING, and EQUITABLE environment where everyone can learn using a variety of skills, and talents. Teacher Candidates explore symbols in learning. Here, they personalize rocks in a deliberate effort to begin the process of relationship building. 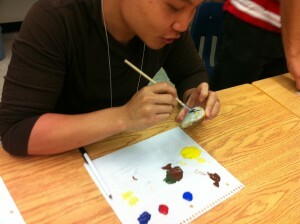 They begin to understand the power of CREATIVITY and ARTS when working within a diverse group. 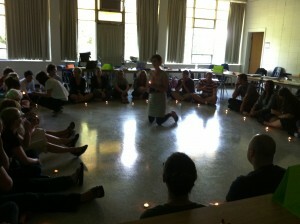 Teacher Candidates gasp as they see the power of co-creating for the FIRST time. They explore the content and pedagogy that is modeled to them and they relate this to their own journey as Teacher Education students through the TPACK framework. 5. ALWAYS be open to learning new skills and new methods of learning and teaching. All Teacher Candidates are required to take an Technology in Education course which provides them with an opportunity to explore a variety of new teaching tools. They work in classrooms with integrated Front Row Audio systems, Smartboards, Wireless internet. They are encouraged to bring in their own devices. They have access and can sign out projectors, iPods, Livescribes and Video Cameras. 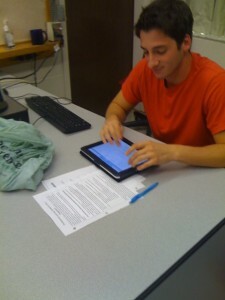 They are provided with class time to learn web 2.0 tools and they use blogs and podcasts to share their learning. I find myself in complete awe of all of this. Is it really happening? Is this the change we need? As an instructor at Brock University this year, I am quite impressed with the Faculty of Education and their efforts to engage not only the students, but the wider educational community in 21st Century technologies and multi-literacies. All P/J/I students are required to take an Technology in the Classroom course which focuses on computer skills, web 2.0 and social networking. This year, the University started offering an optional course to the I/S students who have since become leaders in their own cohorts and schools, all of whom have blogs, twitter accounts and advocated for innovative teaching methods. 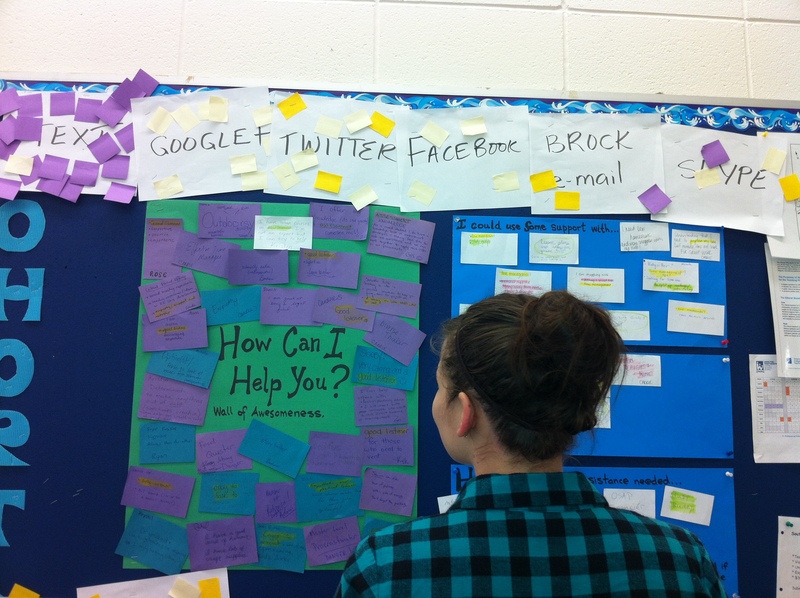 The Brock Tech Showcase is in its third year running. The sessions, sponsors and presenters are incredible and offer something for everyone. The Showcase is a free event, thanks to the sponsors! There will be three 75-minute sessions. Teacher Education students and practicing teachers can take advantage of a full-day event allowing them to participate in more sessions, and share experiences and new ideas. Lunch provided free to attendees. The Decision Makers’ Luncheon returns with a stronger focus on school board administrators. A discussion panel will focus on how school boards, the Faculty of Education, and the industry can work together to support greater technology integration. The Interactive Vendor Fair will encourage hands-on, interactive displays. Join us at Brock University’s Hamilton Campus for this innovative event. In September, my teaching assignment changed drastically – from teaching 12 year olds in a Grade Six Class (HWDSB) to teaching pre-service Teacher Candidates at Brock University, in Hamilton, Ontario. 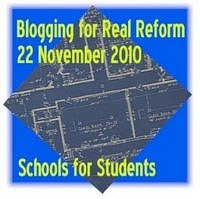 Although the curriculum, standards and focus changed – my intent stayed the same – to develop a program that provoked my students: to think critically, to engage in discussion, to see the potential of the Internet as a hub for collaboration, and to provide a platform for them to develop their own learning communities that are authentic, safe and supportive. I wanted them to see that learning can now take place anywhere, at anytime, and by anyone and that they have choice of how they want to learn, whether it be through video, music, text or images. I wanted them to realize that they have access to information, so long as they ask the questions. I wanted them to see the power that educators around the world have, so long as they stay active and participate in discussions about reform and change. As a sixth grade teacher, I was used to teaching the same group of students for an entire school year. I had time to develop relationships and trust. I had time to get to know their needs. But in my current role, I have ten weeks and I ask, can a ten week course have the kind of impact that I set forth for these Teacher Candidates? I want to say yes, but time will tell. One thing I know for sure is that I can’t do it alone – no one can. At Brock, I never considered myself to be the “teacher”. But instead, a facilitator. In this 10 week course, the teachers were YOU. Maybe not you individually, but “you” as in my Learning Community. ‘You’ as in my twitterverse and blogosphere. ‘You’ as in my Skype colleagues and conference attendees. ‘You’ as my friends. In particular, a few of YOU, volunteered YOUR time to share your passion and expertise with my Teacher Candidates. Aviva Dunsiger (@grade1) – joined us to talk about her primary classroom and their role and expectations in the world of web2.0 and information. Her session led to deep conversations and thought about her students and what they will need in high school in just eight years from now. We talked about student blogging and parental concerns which led to questions such as, why do students even need to be connected at such a young age? How can we ensure students are being protected from cyberbullying? How do we really know this is good for students at all? Unfortunately, there is no recording for this event. Doug Peterson (@dougpete) joined us to talk about OSAPAC (Ontario Software Acquisition Program) Link to Recording. His presentation was geared specifically for these candidates, going into specialized programs and what programs/software will be available to them as they enter the field. Jen Deyenberg (@jdeyenberg) from Picturebutt, Alberta joined us to talk about practical considerations with Web 2.0 and Blogging- Link to Recording. She talked about her web2.0 endeavors as a junior/middle school teacher and her connections to teachers and students across the world. Jen talked about Cybersafety and her approach to safe internet use and student moderation. Rodd Lucier (@thecleversheep) Joined us to talk about his expertise with Creative Commons in education, Link to Recording. Rodd shared with us strategies for collaboration and authentic learning platforms and tools as it relates to Secondary Schools and teacher learning. Like my 12 year olds, I wanted my adult students to become involved global citizens. I wanted them to know what if feels like to get your first comment on a blog post, or to have a discussion with a teacher or another student, from across the world. I wanted them to see that their actions will have impact that reaches further than their confines of their classroom walls. I wanted them to know what students from primary to high school classes across our world are already experiencing: A global education. I developed the course assignments to do just that. 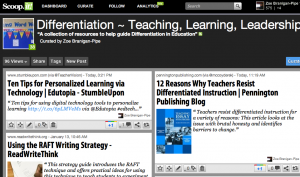 First, the teacher candidates developed their own blogs as they platform for responding and reflecting on the other assignments (and to begin the journey of sharing) I included links to these in the sidebar of this blog. 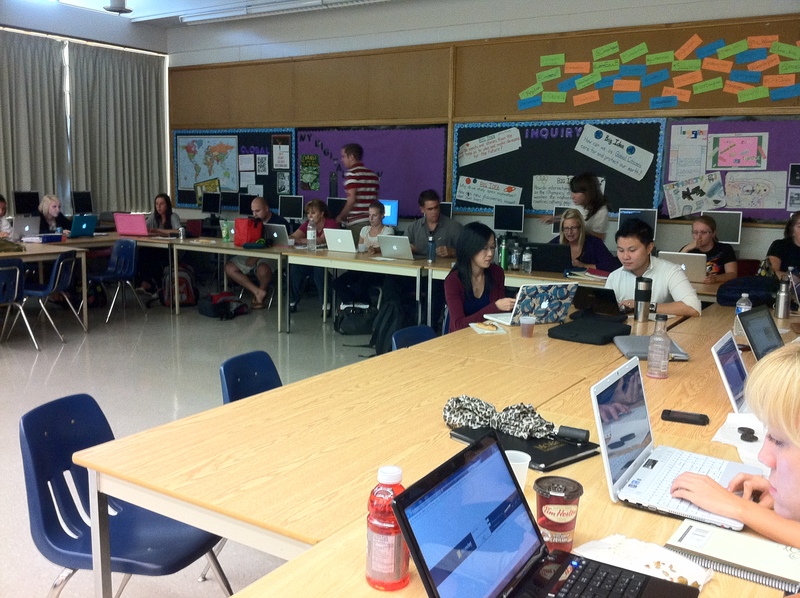 The Teacher Candidates had to choose one web-blog community to follow and contribute to the posts, comments and discussions. They were encouraged to ask questions and seek clarification from the authors (and other contributors) and use an RSS feed to track the blog. I thank those of you who participated, knowingly or not. You made a difference. To answer my earlier question, can a ten week course impact my students, so that they will become Global Educators, to think critically and to be active citizens? We’re in week 7 and I think they already have – Not because of me, and this course, but because of the community of educators that share and support one another everyday. Thank You PLN! I am Wired for Change – Are You? Are the X-Gens more adaptable to change? I am a typical Generation X – a shadow of my parents baby boomer generation. My digital metamorphosis started sometime in the 80’s. Change was something that I expected in my life. Not just change, but rapid change. Almost like yesterday, I remember the new channel called MTV. I watched Little House on the Prairie everyday after school, waiting for my mother and step-father to come home (a true Latchey kid, in a mixed family). I loved TV. Knight Rider, Facts of Life, Growing Pains. And my favourite -I watching Star Trek “TNG” loyally every week. Of course, this led to the natural progression of video games. In middle school. I played video games by hooking up to an old black and white TV (that usually required a set a pliers to turn the channel). My first was the Atari400. It seems like yesterday that my friends and I would spend hours playing Star Raiders or Donkey Kong. I can quite honestly say that I blame Super Mario Brothers and Adventures of Zelda for all of my problems in high school. Reading and Arithmetic were on the back shelf. School was boring. I don’t recall ever feeling “fascinated” when live newscasts of the Gulf War showed up on my TV screen, although I do remember wishing I could watch it in colour, like my neighbours did. I learned to use an electronic keyboard in “typing class” and how to center my page, “ff,jjj,fff,jjj” which still haunts me today. By first year University I owned my own electronic keyboard and then my very first laptop computer, a Tandy computer from Radio Shack. I remember clearly getting my first colour TV with a remote that didn’t have cords. In the 90’s – my first computer, internet connection, digital phone, cd player, dvd player, Ipod, memory key (1G costing $80). I remember having to learn how to use Word, then Wordperfect, then Star Office and then Word again and now I don’t use any of it. I had to switch from Outlook to First Class. I changed my internet service provider six times in order to find the best deals. 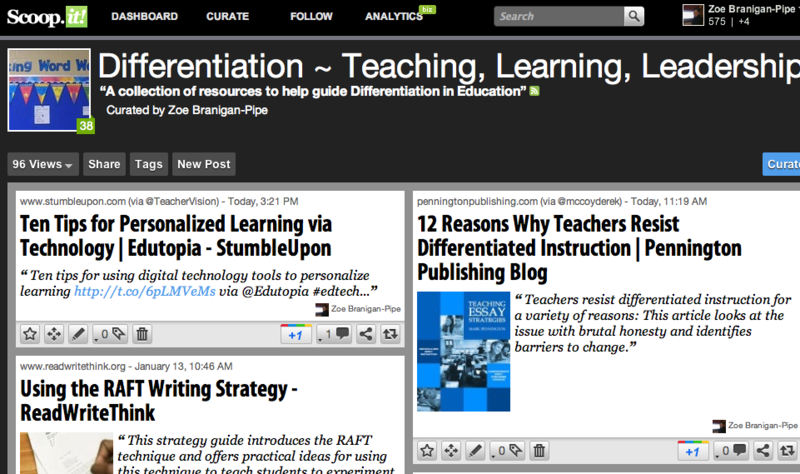 I changed my blog hosts from blogger, to edublogs, to wordpress. I changed from iWeb to wikispaces for student collaboration and then to individual student accounts. I no longer have cable. I no longer have a landline. My CD’s and DVD’s are no longer on that shelf. We don’t rent DVD’s. We don’t buy CD’s. Many of the once NEW technologies, have been replaced by something new. More change. I have come to realize that I have been wired for change. Really. My generation grew up with ‘new’ of everything. In our learning years – our school aged years, we had to adapt to a rapid redesign, revision, tranformation, tweaking, switching. 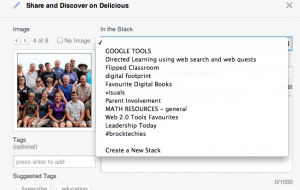 Digital Natives are Entering the Teaching Profession – Now What? Digital Natives who are Entering the Teaching Profession need mentorship and guidance from the so called, ‘Digital Immigrants’. I have switched my role as an educator from teaching one end of the Digital Generation spectrum to the other. For context, I will explain. 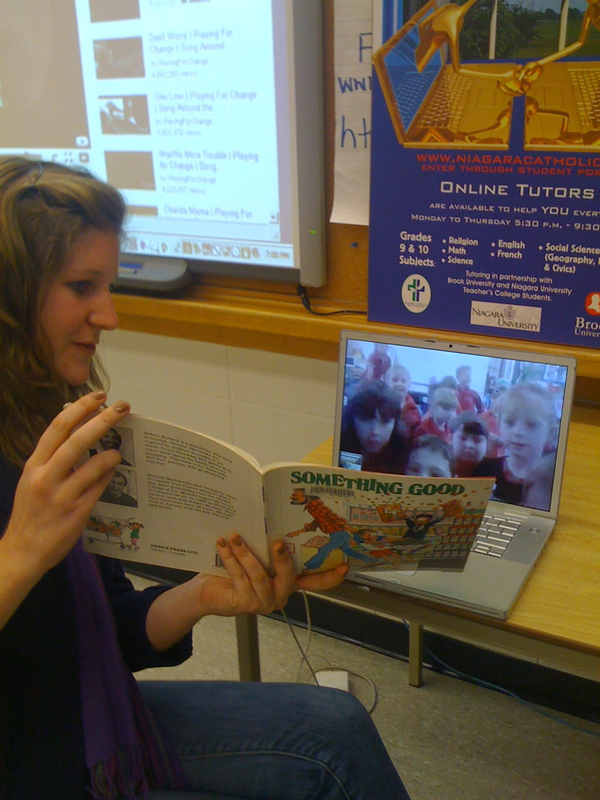 I have been teaching an Instructional Technologies course at Brock University to pre-service teachers in Ontario, Canada. This comes after spending the past 11 years as a classroom teacher for the Hamilton Wentworth District School Board teaching 12 year olds. I am still working with the “Net-generation- also called, ‘Generation Y’ , however I am teaching to the opposite bookend. One common theme that has caused me serious thought- in every one of my classes this year is how concerned my current students are about their digital identity or digital footprint. Online safety, digital citizenship, privacy, teacher online ethics, and appropriate online behaviours – are all topics that my students continue to bring to my attention daily. This information goes well with recent research out of Berkley that concluded that the Digital Generation does care about online privacy – (They just don’t know their rights). I am teaching 120 students. 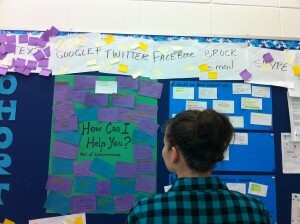 Of these students, 20 of them used social networking tools prior to my class. When asked, many of my students reported a ‘discomfort’ with online media tools (but good comfort with computer use). This fits well with a study out of Nortwestern University that indicated that college students do have a lack of web savvy skills. This is not what I expected. From the onset, many of them told me quite out right that they disagreed with the use of these tools due to privacy and safety concerns. Regardless, my requirement was (is) that they all begin to use Twitter as an initial platform to develop their online identity. This has not been as easy as I thought. Many of them (not all) changed their names, created alias names and are using generic pictures (thank goodness for Twitter lists!). My students tell me that they are afraid of compromising their privacy. They tell me that as students themselves, they have come from a system that has reminded them over and over of online dangers, online predators, plagiarism concerns and personal identity risk. This is what they see and read in the media. Their schools blocked sites with filtering systems, had strict rules about using personal electronic devices and only a few (if any) of their teachers ever modeled the use any form of networking tools as an alternate form of learning. I tell them that their concerns are valid. I tell them I am proud that they uphold standards of safety and privacy. I agree with them, that digital citizenship is the single most important skill we need to teach our young learners and care about ourselves. But I point out (strongly) – every day – that our young learners are experiencing a different kind of education- one where the walls of their classrooms extend beyond their schools and communities. Where information access is immediate and uncensored. One where questions can be asked and problems solved between students and classrooms from any grade, at any school and at any time of the day with access to abundant information. I remind them that they will always have access to learning themselves – and that they can choose what they learn and from who. For them, leadership is about what they give and how the contribute and NOT about grades. But they are frustrated and confused because we keep telling them that it is THEY that are considered the Digital Natives. It is true – they all have cell phones and only a few remember a time when they used dial-up to access Internet. But it is not how they experienced education. The point I am making is that teachers coming into this profession today are coming from a time when online tools such as blogging, twittering, and networking were not in any way a method of teaching or engagement. I have included (in the sidebar of this blog) a list of a few student’ teachers who have begun to reflect on their experiences as learners in a 21st century focused classroom. 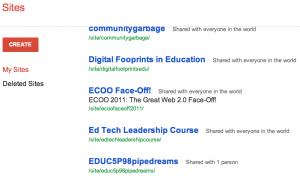 This list has also been grouped with Alec Couros Social Media Mentorship program- (An informal project to build and increase teacher online teacher capacity). New teachers and pre-service teachers need our attention. Let them see the power of online mentorship and support by welcoming them into your own network and support their tweets and blogs through simple comments, replies and retweets.